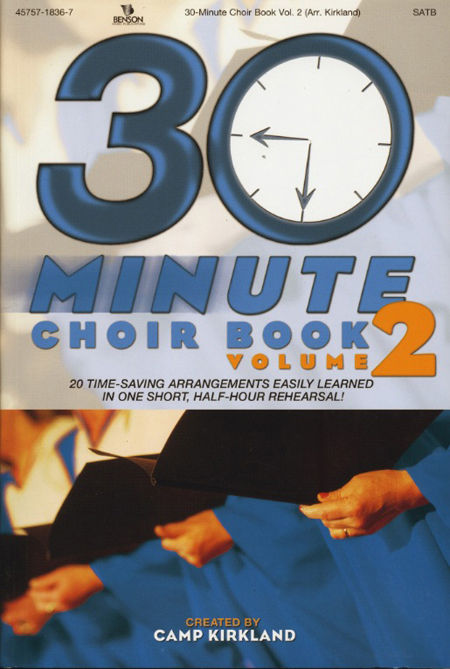 The 30-Minute Choir Book, Volume 2, arranged by Camp Kirkland, delivers 20 easy-to-prepare, SATB choral arrangements that your choir can learn in just 30 minutes! Perfect for those times when the schedule throws you a curve, or for those occasions when you just don't have as much rehearsal time as you'd like. Volume Two of this proven and practical series is sure to instill an air of calm confidence as you turn to the newest offering in this Camp Kirkland series of singable and inspiring arrangements, edited to bring you maximum performance with minimum rehearsal! Give us 30 minutes and we guarantee your choir will walk into the service prepared to sing their very best!